We announced way back in November that Karl Lagerfeld would be designing an exclusive collection for Macy’s and now we have more deets on the collaboration! 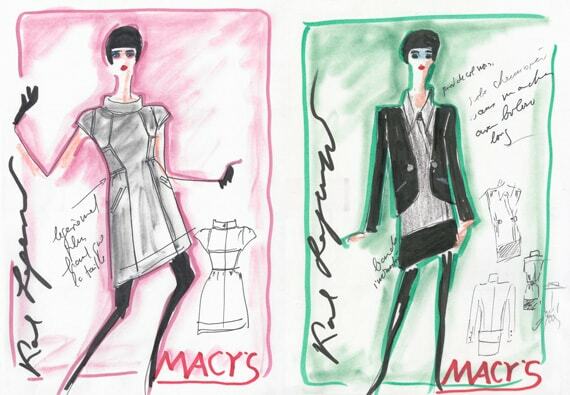 Lagerfeld’s collection for Macy’s will be part of the department store’s Impulse line, which features rotating capsule collections created by famous designers. According to WWD, the limited edition collection will consist of 45 pieces, ranging in price from $50-$170. The line is being called “quintessential Lagerfeld, but done at affordable prices” and will include items like graphic tees, crocodile print jackets, refined dresses and airy tops. Karl Lagerfeld for Impulse is set to launch on August 31st online and at 235 Macy’s stores nationwide. What do you think of this collaboration? Will you be checking the line out when it launches? Are you a fan of Karl Lagerfeld’s designs? As always, be sure to leave a comment and let us know what you think!